Occasionally I will hear the subject of “mysteries” brought up in a church class or in conversations with other church members like it is an off-limits subject; “Don’t go delving into those mysteries!” I often wonder if they know what mysteries are. Then there are those not of the Latter-day Saint faith that are concerned about the so-called ‘secrecy’ aspect of Latter-day Saint temples. In an attempt to shed some light on a subject that ironically is meant to shed light in and of itself, perhaps something can be gained by understanding and pondering the word “mystery”. My father has worked for most of his life in residential marine construction and I used to spend a lot of time on job sites throughout my childhood. We worked down by the Gulf of Mexico and were well-acquainted with the sea life there. 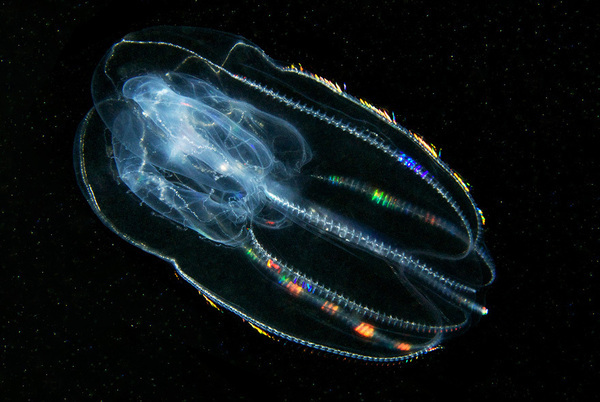 There were a variety of jellyfish species that lived in the water and while I didn’t know all of their names, I knew which ones to stay away from! 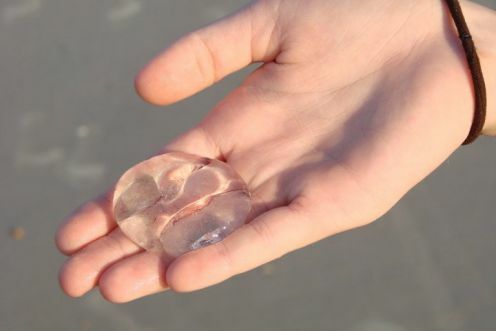 There was a small kind of jellyfish that would be plentiful in the waters from time to time. Whether they were babies or full-grown, I don’t know, but there was something fascinating about them that I’ll never forget. It looks like a dull, amorphous blob. Interesting how something so beautiful can look so plain, unattractive and meaningless just by removing it from its element. To see their beauty, temple teachings must remain immersed in a temple context. The symbol of a mountain is a common archetype in religious traditions and is it any wonder? Their everlasting stability, their untouchable heights and the way the light paints them in quiet mornings and sets them afire in evenings have always inspired man. 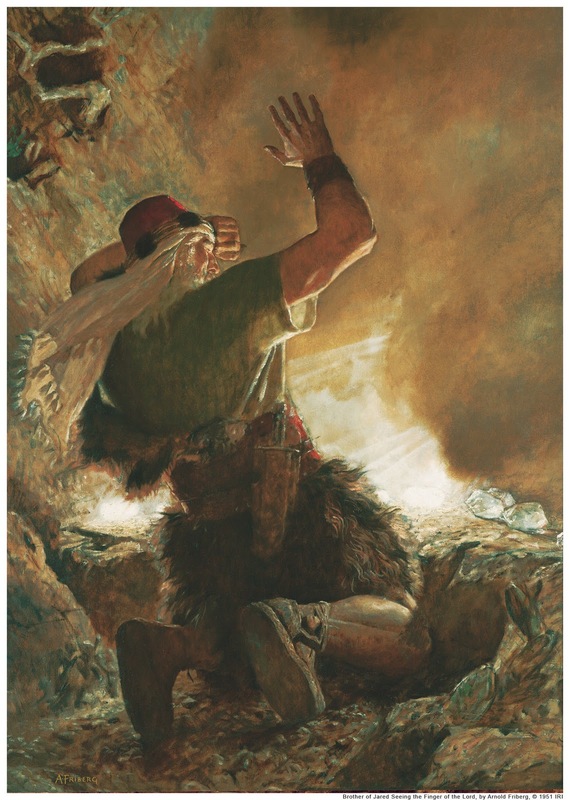 Within the LDS faith, the mountain has a special meaning. I suppose that one of the most immediate correlations would probably be to the temples. The same way that the Lord’s voice can be heard through scripture, he speaks to us through number, shape, color, light and movement in nature, in temples, in our dreams and visions and in many other circumstances. Everything in our perception can teach us if we have ears to hear, eyes to see, hands to touch and a heart that yearns for virtue. The mountain; it is a striking visual symbol encompassing many ideas, sermons and truths. 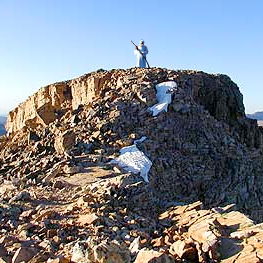 Perhaps the mountain peak represents the final destination of man or the ultimate height one can achieve with only God as a way to ascend higher. What I find especially fascinating isn’t the mountain itself, but the climb. 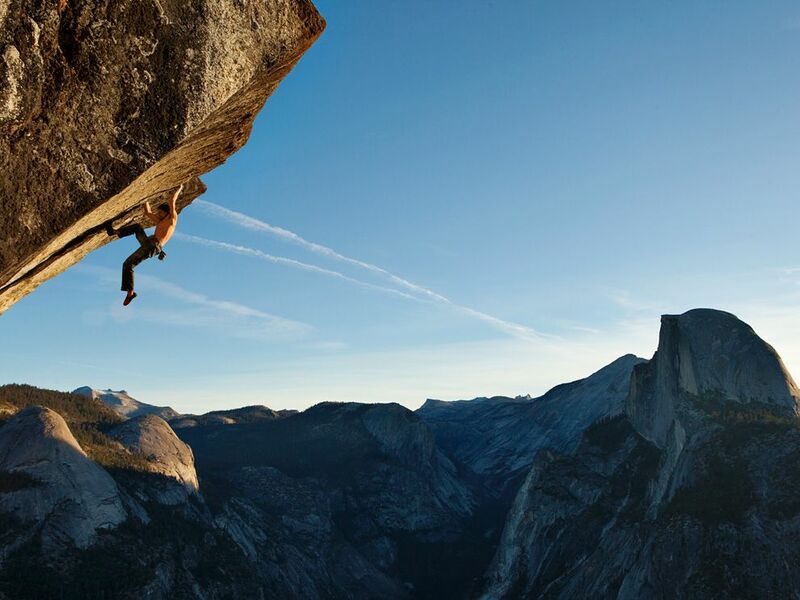 The climb teaches us, it requires strength and in turn makes us strong, it is brutal, unforgiving and perilous. It seems safer to stay at the bottom, but is it? What if the point of life isn’t to make it safely to death? What if we spend our lives dragging our way to the top but never make it? What is at the top? Is reaching the top of the mountain really even necessary if the point is the climb? Perhaps the climb begins with covenants. Under covenant, life and every experience of every moment are another rock, another precipice, another dreadful cliff, treacherous winds and a host of spectacular terrain. Everything becomes the climb; what you do right after you wake up, how you treat your family, friends and enemies, what you do and think when you are alone, how you apply your talents, how you deal with fear, how you handle knowledge and what your attitude is concerning the things you encounter. The climb; you will either discover what awaits you or you will spend eternity contemplating two words, “what if”. Or will you stand up and climb? LDSSymbols.com is a new site that I just launched today to help anyone become more literate in the alphabet of LDS symbology. 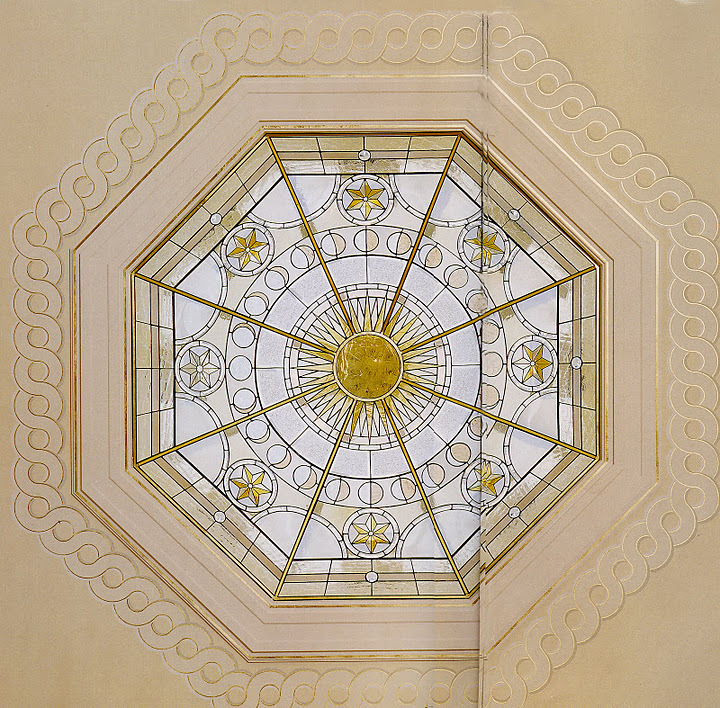 While not exhaustive, it provides a starting place to begin to identify potential meanings in some of the symbols we encounter throughout LDS architecture, scripture and in nature and throughout the universe. 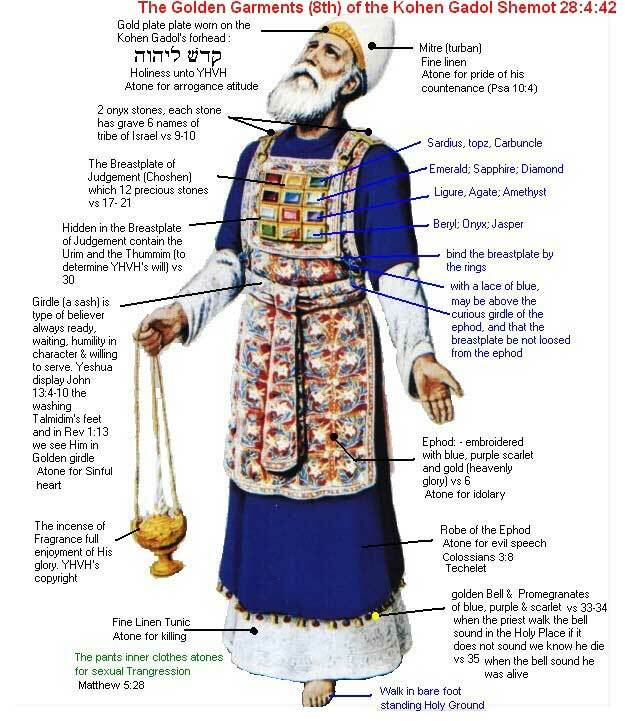 Everything is connected; and when you begin to understand some basic archetypal meanings behind some of the shapes and numbers God uses in His works, you’ll find hidden treasures that have been right in front of your nose your entire life. LDSSymbols is a work in progress, so further meanings, photos and quotes will be added as time goes on. If you feel that you have anything to contribute to the project, feel free to contact me via the contact page on this site. In Denver Snuffer’s book, “Passing the Heavenly Gift”, he provides a great summary on the meaning of the temple and its ordinances. The temple ordinances portray a walk back to God’s presence. Although the ceremonies are presented in symbols, they testify of, and invite the actual return to Him. The washings, intended to cleans us, are more than a physical ordinance. They testify to us about necessary individual purity and spiritual cleanliness. Anointing with olive oil symbolizes the Holy Spirit. Thorough the Holy Spirit we are sanctified. It is holy, and when we receive it we become holy through our association with it. When we are clothed with a garment, it symbolizes the sacrifice of Christ, laying down His body to cover our sins with His atonement. These are powerful symbols of how intimately our individual redemption is connected to Him. The endowment instructs us about creation, and our own journey through mortal life. We must consider ourselves as if we are respectively, Adam and Eve. When we do, we find an explanation of our mortal condition. It tells us we came from God’s presence, and now live in a fallen world. To regain God’s presence we need to obey, make sacrifices, follow Christ’s Gospel, observe the law of chastity and consecrate our lives to Him. As we do, we will receive sacred knowledge from His messengers. Such messengers are sent by Him. True messengers labor to have you come to know Christ. They want all to be redeemed from the fall. The purpose of the temple is to guide you back to Him. It is not the real thing, but only a symbol pointing to the real thing. It is not enough to read what has been written in scripture or taught by true messengers. You must get an experience for yourself so you also know God. 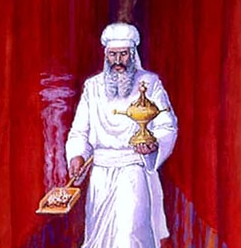 The veil was one of the core elements of the Hebrew temple. It was the dividing line between this world and the symbolic, or from time to time, literal presence of God. There are many meanings, doctrines, principles, types and shadows associated with the temple and what the veil may symbolize. For the purposes of this article, I will only be covering a few facets of this topic from a Latter-day Saint theological viewpoint. The pentagram. At the sound of its name the average person might think of “Satanism”, you may walk down the aisle of a video rental store and see it on the covers of horror movies, but has it always been this way? Has the pentagram always been associated with evil? How did it come to mean this? 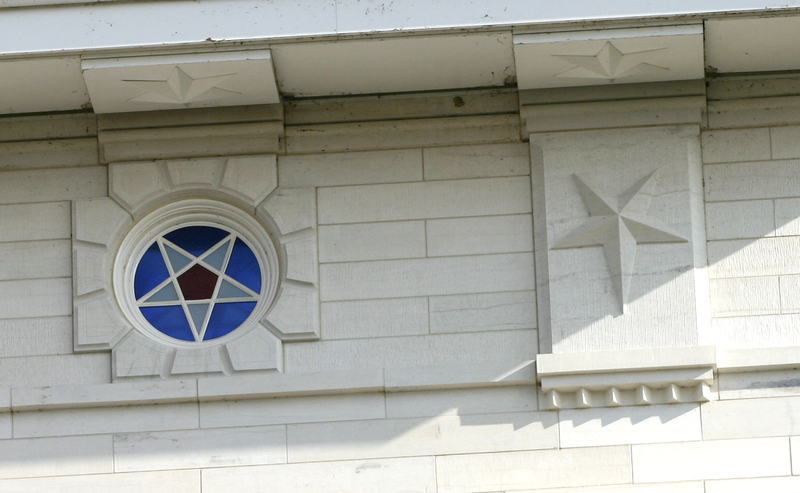 Below are two stars that appear several times on the outside of the LDS Nauvoo temple. These two inverted stars are actually tied deeply to Jesus Christ and have been for a very long time; I’ll explain. The pentagram, or day star/morning star is an ancient representation of the planet Venus. 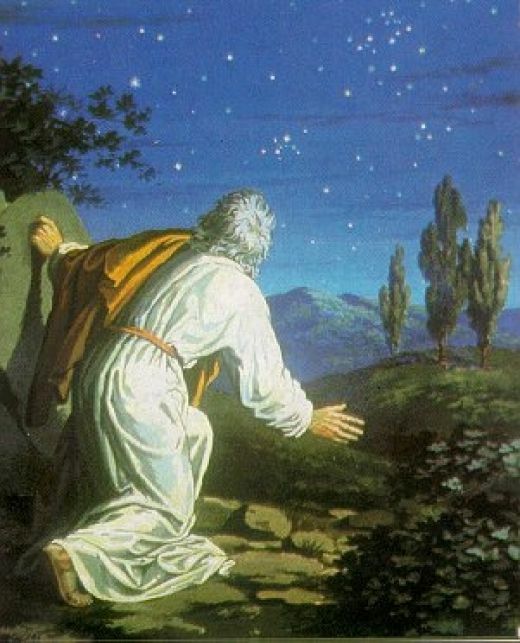 Jesus Christ, in the New Testament is referred to as both the “Day Star” and the “Morning Star” in connection to the planet Venus. 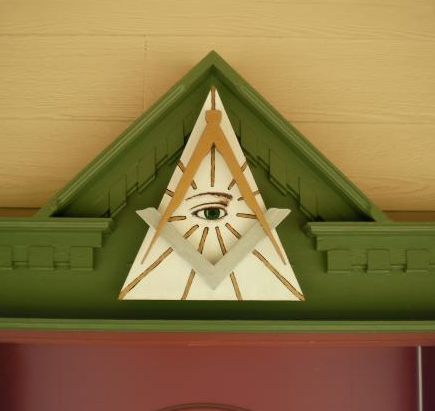 Chances are that you are familiar with the “All-seeing-eye” symbol, but your feelings toward it vary on the context that is it presented in. 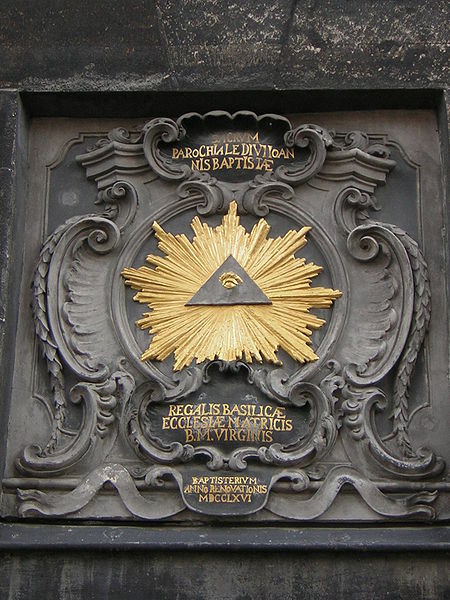 There are connections to this symbol ranging from the Masons, to the so-called New World Order, the occult and, yes, Christianity. 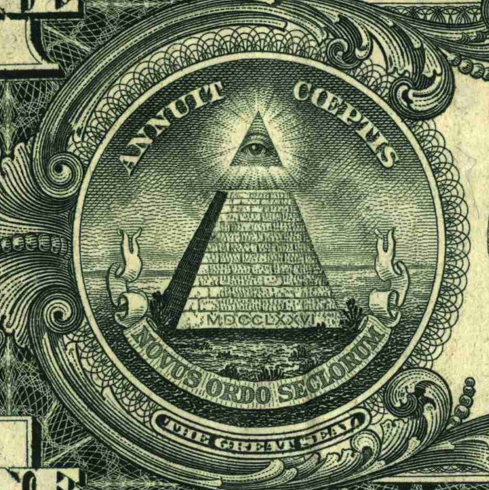 Probably one of the most common usages of it is on the back of our one dollar bill. 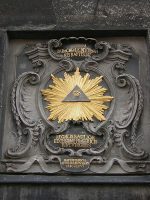 The eye is topped with the words “Annuit Coeptis,” which means “He approves (or has approved) [our] undertakings” the ‘He’ being God indicating his approval of our actions during the Revolutionary War. What does “holocaust” mean? Most people might instantly without thinking throw out a reference to the mass slaughter of humans (esp. Jews) by the Nazis during World War 2. Technically the word “holocaust” doesn’t mean “an act of mass destruction.” That may be what the general understanding of the word today is, but words are complex things and most often have intriguing histories behind them. (usually initial capital letter) the systematic massslaughter of European Jews in Nazi concentration campsduring World War II (usually prec. by the ). After an Institute of Religion class, my teacher and I were having a discussion in his office. He asked if he could show me something; he grabbed a book and took his seat across the table from me. He asked me to close my eyes and focus on envisioning what he was going to be reading to me. What he read was a very descriptive narrative of a climb to the top of a mountain that was meant to be imagined from the perspective of the reader. This simple narrative was amazingly effective at teaching a few important principles that I will cover later. 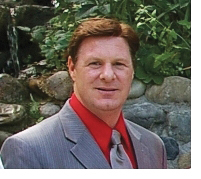 With a few words, my paradigm had been shifted concerning how I approach my Father in Heaven in prayer. 2 I perceive that ye are weak, that ye cannot understand all my words which I am commanded of the Father to speak unto you at this time. 3 Therefore, go ye unto your homes, and ponder upon the things which I have said, and ask of the Father, in my name, that ye may understand, and prepare your minds for the morrow, and I come unto you again. The people cannot understand the words of Isaiah that he is quoting, they have been through a lot of trauma and Jesus perceives that they are not spiritually prepare for what he has to say. So he gives an important clue that revelation is needed to understand the things that is was about to teach them. 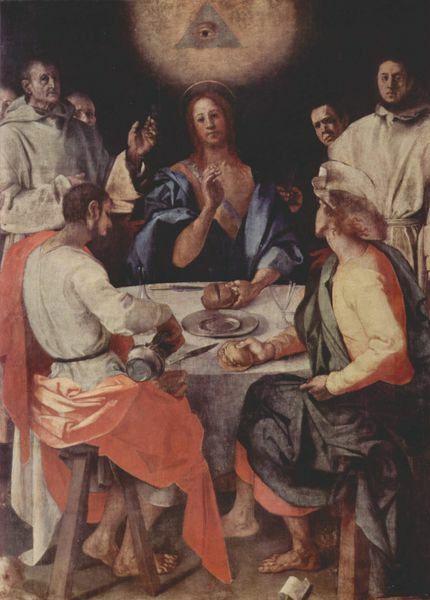 Then for the next four chapters he performs a series of acts to lift the people to a level to where they CAN understand his words, he heals them, introduces the sacrament, gives his disciples the power to confer the Gift of the Holy Ghost, the twelve disciples are chosen by Christ, and then administers the sacrament a second time.